Seattle can be a dark/depressing/black lodge/twin peaks kind of place sometimes. The weather blows for about 8 months out of the year, making cavemen out of the finest young modern. So how do we stay sane? 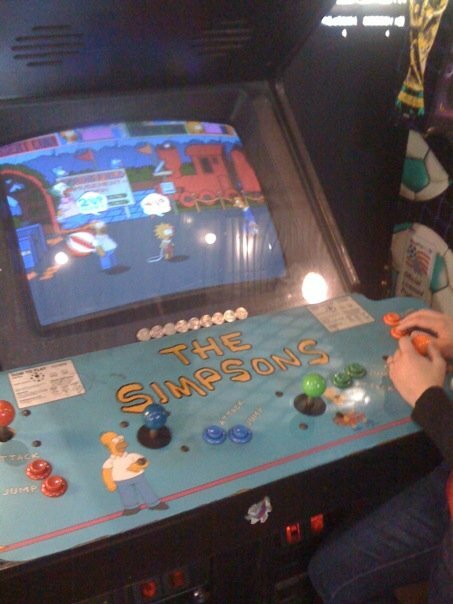 The Simpsons Arcade game at Seattle Center. It reminds us of Aladdin's Castle and other video arcades that have long died off. Beating the game in only four quarters is a challenge any young modern should take.